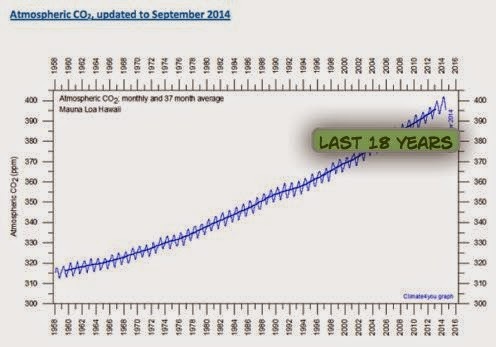 So remind me again what the Alarmists are worrying about? Emissions, mainly from the burning of fossil fuels, may need to drop to zero by the end of this century for the world to have a decent chance of keeping the temperature rise below a level that many consider dangerous. Experts warned there was little time before the window of opportunity to limit temperature rises to below dangerous levels closed, and that delaying action would greatly increase the costs. The warning came as the United Nations climate body published the final report of its latest assessment on the science of climate change, drawing together three studies published in the past year. UMMMM....as the two graphs above show...at least for the last 18 years, there does not seem to be any correlation between atmospheric CO2 and (the lack of) global warming. What does history say...I mean long term history? Well......the long term history, as accepted by climate scientists the world over, shows that global temperature rises BEFORE rise in carbon dioxide. Temperature rises and this is followed by a rise in atmospheric carbon dioxide. All climate scientists accept this FACT. Oh, but that's all in the past. So when did "man start meddling?" What happened to temperatures and carbon (why-oh-why don't they say carbon dioxide? What emissions can a pure form of carbon -a metastable allotrope of carbon, ie a diamond emit?) after WW2? Sheesh.....after WW2, when everything was busting out, when industry was developing, when cars were becoming more common, when households started using vacuum cleaners and washing machines and dish washers, TVs etc etc....all that use of fossil-fuels. And what is happened to "THE WARMING?" After WW2 the world cooled for thirty years. 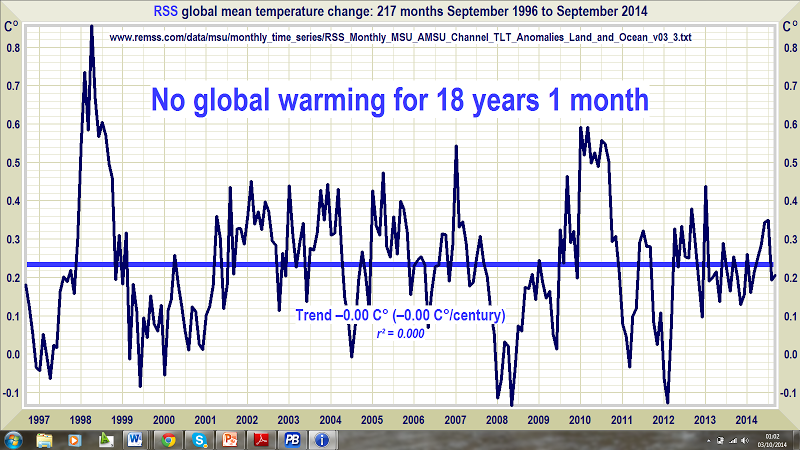 Well, according to the "alarmists" source HADLEY CRt4, the temperature has been cooling since 2004. So....no problem....no worries......no need for adjustment! Think you need to look at your graphs again Geoff because they disprove your argument. Your ice core graph shows over long periods of time temperatures do rise and fall with carbon in the atmosphere. Your other graphs show that since the 1900 (around the time of the industrial revaluation when fossil fuels started to be burnt more commonly) Carbon has been rising. 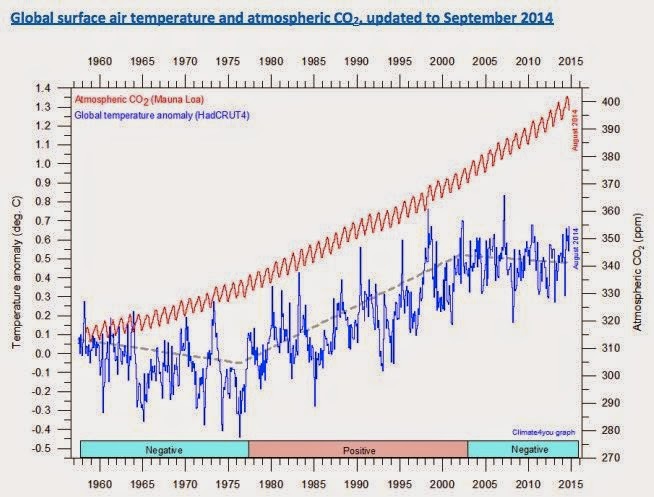 The graph also shows that since 1900 the average temperature has risen about .5 degrees. I wouldn't take 18 years of stagnant average temperatures as proof there is no global warming. But I guess it doesn't matter, I bet you won't let this get posted because deep down you know your wrong and you don't want people to agree with me and not you. Your ice core graph shows over long periods of time temperatures do rise and fall with carbon in the atmosphere. That was one of many -and the link was given for the rest. Yes it show that "temperatures do rise and fall" with carbon in the atmosphere BUT (and this is accepted by ALL scientists) the rise in temperature precedes the rise in atmospheric CO2 by around 800 years. Did you mean deep down you know you're wrong? Your statement is just like your grammar.....WRONG!